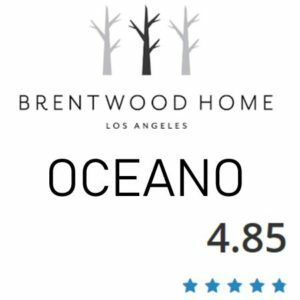 Brentwood Home is one of my favorite online companies. Offering quality mattresses that are substantial, not little 10″ foam mattresses. They Crystal Cove has some interesting and effective design features. See our findings below. The Brentwood Home company is based out of Los Angeles, California and specializes in in the crafting of luxurious, healthy, and reliable home accessories that can be purchased online for reasonable prices. They dedicate themselves to using only the most high quality materials in all of their products, including their mattresses. Furthermore, all of the materials used in their products are carefully researched and sourced to make sure that they meet all relevant health, safety, and environmental standards. Additionally, all Brentwood Home mattresses are hand-crafted by local artisans and fabricators in the area of Los Angeles, just as they have been for over thirty years. The Crystal Cove mattress from Brentwood Home is another one of their highly popular mattresses. It features a unique design that features two firmness options in one bed. This mattress has both a luxury plush side and a gentle firm side; this dual-sided design allows you to easily switch between a softer more traditional memory foam feeling and a firmer, more supportive feeling. Additionally, it is available in a wide variety of sizes: Twin, Twin XL, Full, Queen, King, California King, and Split King. Brentwood Home offers two options for delivery once you have purchased your Crystal Cove mattress. The first option involves free delivery right to your doorstep; this option involves the mattress being compressed and rolled up, then wrapped and packed into a box that is then shipped to your home address. Alternatively, there is the second delivery option. This option involves paying a fee (of about two hundred dollars) to upgrade to a full service white glove delivery. This delivery process will entail two deliverymen not only bringing the mattress to your home but setting it up for you as well. This option does cost you extra money, but also saves you the time and hassle of having to unpack and set up the mattress yourself. Ultimately, you will need to decide for yourself whether or not this delivery upgrade is worth the cost or not, or if you’d prefer to simply have your Crystal Cove mattress delivered to your home so you can set it up yourself. Either way, however, do be aware that sometimes it can take up to several hours for this mattress to regain its full size and shape after first being unpacked. Want a mattress that stays cool. This mattress has excellent temperature regulation no matter which side of it you choose to use. The firmer side contains Dunlop latex that is specially designed to be aerated for better ventilation and heat dissipation. The softer side, meanwhile, has a layer of special memory foam called Flow Foam; this foam is designed to help with the dissipation of heat. The second layer of memory foam that sits underneath the Flow Foam is also helpful with temperature regulation; it is infused with active graphite, one of the most effective cooling and purifying minerals; this helps to keep the mattress cool and comfortable while you rest. Want an effective hybrid mattress. In addition to the different firmness options that are available with this mattress (one made of firmer latex foam, and another made of softer and more plush foam), this mattress features an eight inch core of individually pocketed spring coils, which provide the mattress with a strong center that offers incredible support no matter which side of the mattress you decide to use, firm or soft. 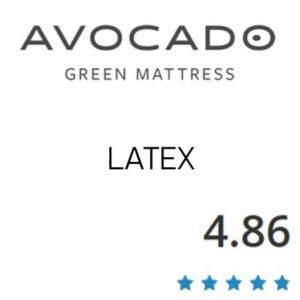 You want a mattress that is made by a reputable company. Unlike other mattresses that come from newer companies that haven’t been around long enough to gain much of a reputation, the Crystal Cove mattress is made by the Brentwood Home company, a group that has been in business for over thirty years and has a solid reputation as a high quality mattress maker. They are also well known for their supremely excellent customer service department; if you ever have any issues with a Brentwood Home product, all you need to do is contact a customer service representative and they will strive to resolve your problem for you. The Brentwood Home company is also very generous in regards to its returns policy; if you aren’t satisfied with your mattress after you’ve purchased it, they will give you a full refund and arrange for your mattress to be taken away and delivered to a local charity so that it won’t go to waste. Want a mattress made of high-quality materials. Brentwood Home expends considerable effort to make sure that all the materials used in their products are the best available. They research all materials extensively to make sure that they are both safe (without any harmful chemicals or toxins) and sustainable (eco-friendly and able to be used without harmfully depleting a resource). In regards to the Crystal Cove mattress specifically, the foams used are CertiPUR-US certified, meaning that they are made without ozone depleters, PBDE flame retardants, mercury, lead, heavy metals, formaldehyde, or phthalates. Want the option to choose between firm and plush. Thanks to the innovative design of this mattress, which features soft and plush memory foam on one side and firmer latex foam on the other side, you’re able to switch between a firm and supportive feel or a softer more body-contouring feel at will. You don’t want a hybrid mattress. Because the Crystal Cove mattress incorporates not just three types of foam but also a supportive core containing individually pocketed spring coils, it’s not a good choice if you want either a mattress made entirely out of memory foam or traditional innerspring mattress. As mentioned previously, this specially designed mattress from Brentwood Home features one side that emphasizes plush softness and comfort while the reverse side puts more of an emphasis on firm support. 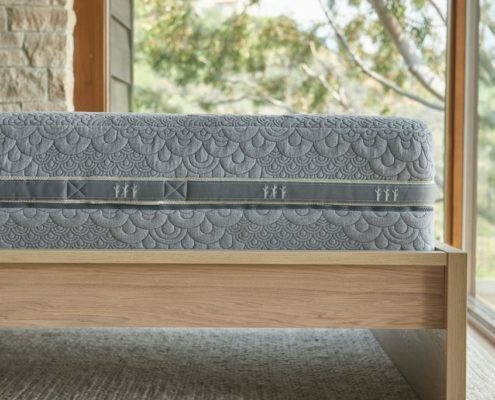 This dual-sided design is great for anyone who either isn’t sure what level of firmness and comfort they want in a mattress, or if they want a mattress where they can switch between those two firmness levels at will depending upon their sleep needs at the time. The firm side, which features all-natural Dunlop latex foam that is a bit denser than other types of foam, has a consistent feel throughout its entirety and also has a slightly bouncier feel to it in comparison to the other side of the mattress; it also has better airflow, allowing this side to stay cool at night when you’re sleeping. Overall, this side of the mattress is medium-firm and emphasizes support more than comfort, but is still considered a good choice for any sleeping position. The softer and plusher side focuses more on comfort and pressure relief; the foam used in this layer will contour to your body and provide you with a luxurious and restful sleep. Much like the other side of the mattress, this softer side can work for any sleeping position but is the preferable choice if you want a softer feel. 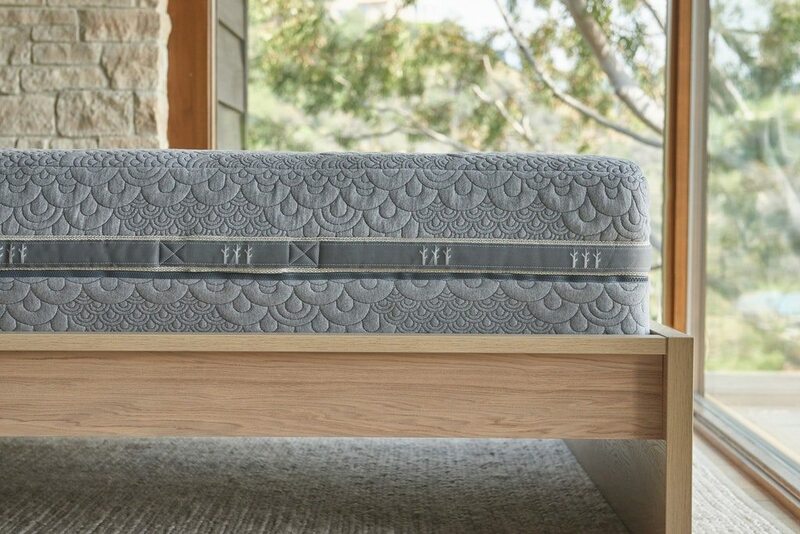 Despite being a hybrid mattress (a type of mattress that is traditionally not the best choice for reducing motion transference), the Crystal Cove mattress from Brentwood Home is actually an excellent choice if you want a mattress that’s good for motion isolation. This is thanks to the thick core layer which features individually pocketed reinforced coils that not only help to provide you with great support but also help to reduce motion transference (the phenomena that occurs when movement in one portion of the mattress causes vibrations that transfer throughout the rest of the mattress, potentially disturbing your sleeping partner). That being said, each side of the mattress is constructed differently and as such display different levels of motion isolation. The memory foam side of the mattress is great for absorbing vibrations and as a result is a great choice if you want something that will provide minimal motion transference. The firmer latex side is more responsive to movement in comparison to the memory foam side and therefore won’t be quite so effective at eliminating vibrations altogether; the latex layer is, however, incredibly dense and thick and subsequently what motion-induced vibrations do occur will not spread very far, making it a relatively good option for motion isolation as well. Ultimately, either side of this mattress will function well in regards to reducing motion transference. 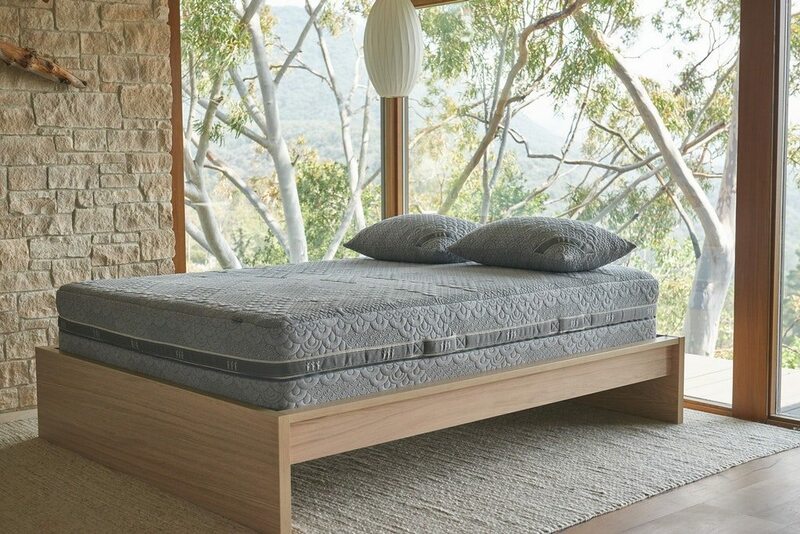 Because the Crystal Cove mattress from Brentwood home is made from the purest, cleanest, and most high quality materials, there will be very few off gassing fumes (this is especially helped but the fact that this materials used in this mattress are all natural). As a result, any strange scents you encounter when unpacking this mattress will more than likely be coming from the plastic that the mattress is wrapped in rather than from the mattress itself. That being said, if there are any lingering odors (or if you are prone to sensitivity towards certain smells), it’s advisable to let the mattress air out for a few hours before putting your bedding on it and using n it. Thanks to the thick coil system that this mattress utilizes throughout its entirety, it hasa reinforced perimeter and therefore great edge support. 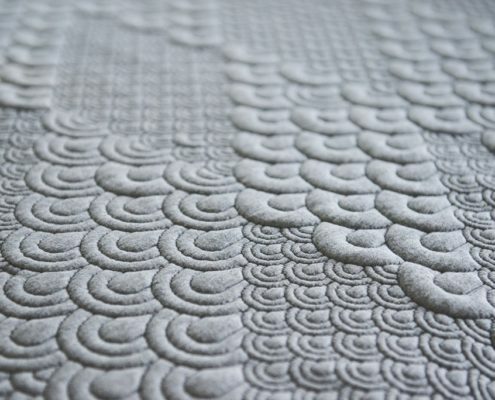 Thanks to these individually wrapped coils, this mattress has great stability and sturdiness no matter what part of it you’re using (even the edge). You can even sit on the edge without needing to worry about it breaking down or becoming damaged and misshapen. The core of this mattress has a coil system (called a Combi-Zone Coil Unit) that is eight inches thick and helps to provide support and durability. This coil system incorporates individually wrapped coils and is also specially designed to provide the highest levels of ergonomic comfort and spinal support; in fact, there are reinforced coils created specifically to provide lumbar and lower back support. This strong and supportive core layer also helps to distribute your body weight evenly while allowing the top layer of the mattress to provide comfort. There are even coils within the edges of the mattress, giving it strong edge support and additional durability. The fact that these coil springs are individually pocketed also helps to reduce motion transference. One side of the mattress (the firm side), features an all-natural latex layer that is two inches thick. 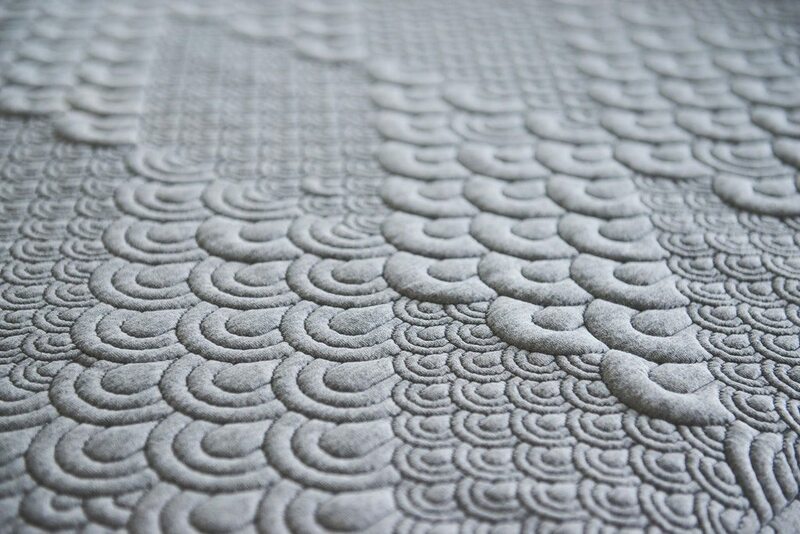 Made with the Dunlop process, this latex foam is designed to provide support and is also incredibly responsive to movement; unlike some other types of foam that allow you to sink in, this type of foam is more springy, and as such you will never feel stuck when resting on this side of the mattress. This latex foam layer is also well aerated, allowing for greater breathability and temperature regulation. The alternative side of the Crystal Cove mattress from Brentwood Home is made out of two layers of specially designed memory foam. The top layer is a single inch of Flow Foam, which is designed to be plush and comfortable while also contouring to your body and providing superior levels of pressure relief. 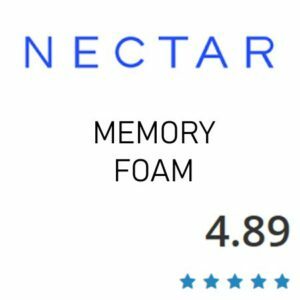 This foam is also CertiPUR-US Certified, meaning that it is guaranteed to be non-toxic and safe to use even if you have allergies Underneath this top layer of Flow Foam is a layer of Charcoal-Infused memory foam that is two inches thick. This layer is designed to provide additional comfort while also helping with pressure relief and reducing muscle tension. This layer of foam is also CertiPUR-US certified, meaning that it is made without ozone depleters, PBDE flame retardants, mercury, lead, heavy metals, formaldehyde, or phthalates. Finally, this mattress from Brentwood Home also features a cover that is both breathable and stylish. And not only is aesthetically pleasing as well as functional, it can be removed and washed should the need arise. Brentwood Home also features a cover that is both breathable and stylish. And not only is aesthetically pleasing as well as functional, it can be removed and washed should the need arise. The Brentwood Home Crystal Cove will work great on any solid surface. The floor, platform slats, boxspring/foundation and they now offer an adjustable base as well. This mattress also has great temperature regulation, especially for a mattress that contains different types of memory foam. The side of the mattress that features Dunlop latex in particular is naturally aerated and as such stays very ventilated which aids in the dissipation of heat. This side of the mattress (which is also the firmer and bouncier side) is the best choice if you want something for good temperature regulation. That being said, the other side (which features non-latex memory foam layers) has fairly good temperature regulation capabilities as well, especially considering the fact that it is made out of memory foam, which is traditionally notorious for retaining heat. 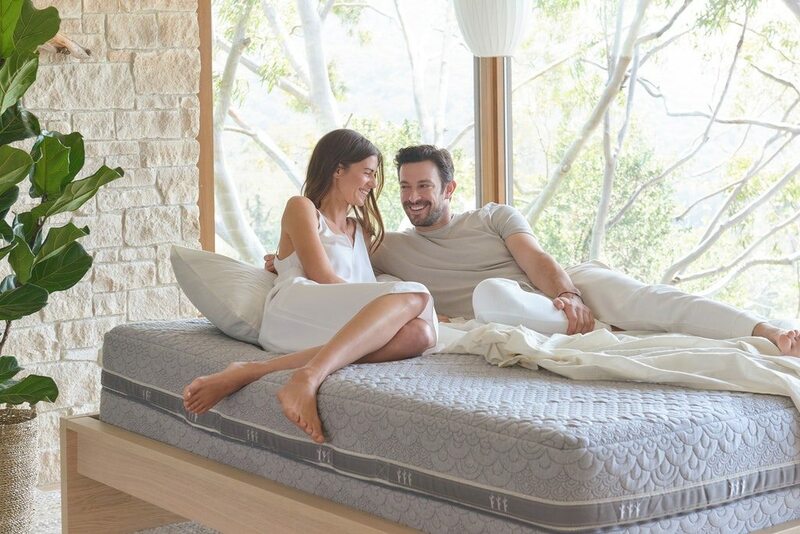 This softer side of the mattress features a top layer constructed out of Flow Foam, which is specially designed to help with the dispersal and dissipation of heat; it also serves as an effective barrier between your body and the secondary layer of memory foam, thereby minimizing the potential for heat retention in the first place. The memory foam is also infused with active graphite, one of the most effective cooling and purifying minerals; this helps to keep the mattress cooler while you rest and give you a better sleep experience overall. 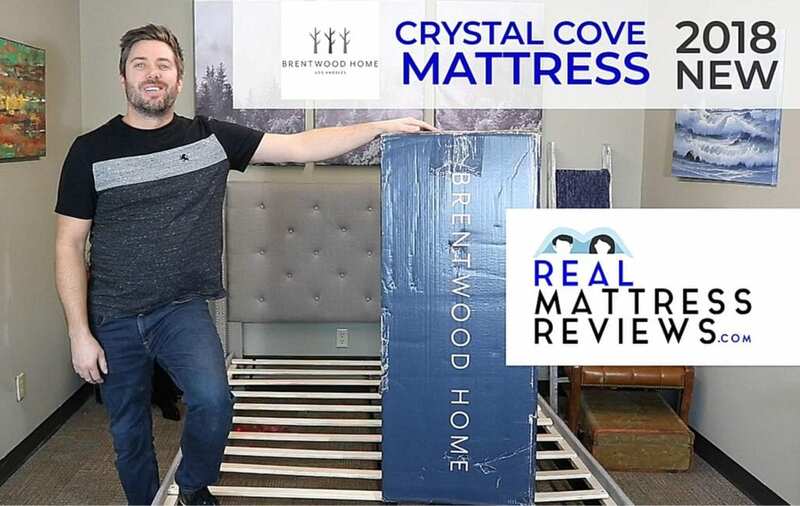 Like all mattresses made by the Brentwood Home company, the Crystal Cove mattress comes with a trial period of one hundred and twenty nights. This four month period gives you plenty of time to adjust to sleeping on your mattress as well as decide whether or not eh Crystal Cove mattress really does meet your individual sleeping needs. And if you do end up deciding that the Crystal Cove mattress just isn’t the right fit for your needs, you can return it easily by contacting the Brentwood Home customer service department; they will do their best to help you either find a replacement mattress that better meets your standards or assist you in the returns process and refund you the value of your Crystal Cove mattress. Additionally, this mattress comes with a twenty-five year limited warranty that will help you if you discover any defects in the product or experience any serious problems with it. The Brentwood Home Crystal Cove mattress is made out of high quality materials and created with superior craftsmanship, and as such is designed to be long-lasting and provide effective support and comfort for years, so you can rest assured that if you experience any issues whatsoever the company will strive to resolve the situation for you and make sure that you’re truly satisfied with your mattress. When considering whether or not to buy and use a new product, the opinions of other customers who have tried that product are indisputably a critical part of the decision-making process. Therefore, in order to better help you determine whether or not the Puffy Lux mattress is a good choice for you and your sleep needs, we’ve gathered together here some useful reviews from customers who have tried the Puffy Lux mattress. We hope you find them helpful. “This bed is incredible!!! So comfortable and well worth the price. Easy to assemble. I would HIGHLY RECOMMEND THIS AWESOME BED!! !” – Andrea B. “I’ve had back issues for the past 3 months. first night after sleeping on my puffy mattress I immediately noticed the difference and could feel it in my back now day 5 and my back feels a millions times better thanks to my puffy mattress.” -Derek. “I have always owned high quality euro mattresses in the past so I decided to make a change to something more up to date. I bought the Lux last month, it is amazing. I am speechless at how good I sleep, it really makes me feel at ease and just weightless throughout. I have already told all my friends about it.” – Andrea S.
“The best bed I have ever laid on. I wake up feeling like I slept for days. I feel more relaxed and clear minded because of the sleep I am getting now. No springs no nothing just pure comfort”. – Scott. “We have needed a new mattress for about 7 years. We finally started to do our research and found that the Puffy Lux looked like it was just what we wanted. We placed our order and received it yesterday. Last night both of us went to bed with great expectations of what our new mattress might be like. Well this morning was fantastic. No back, neck, and joint pain. We are so impressed. We made the prefect choice. We love our Puffy Lux .” – Melisa.